Each year, approximately 2.5 million people suffer a traumatic brain injury (TBI), according the CDC. More than 50,000 die and a quarter of a million require hospitalization. Motor vehicle accidents account for more than 14 percent of all traumatic brain injuries. While some are mild concussions, many TBIs are moderate and severe. Serious brain damage can cause cognitive disabilities, sensory loss, long-term physical pain, depression, and other psychological damage. At the law firm of Harris Lowry Manton LLP, we understand how catastrophic these injuries can be. We have earned the respect of the Georgia community and other lawyers for our capability to hold wrongdoers fully accountable. We start by thoroughly investigating the cause of the motor vehicle collision, often by visiting the scene ourselves. Next, our legal team consults with medical professionals and other experts to evaluate how much your claim may be worth. Then, our lawyers pursue justice to the very best of our abilities. Our firm has obtained dozens of multi-million dollar settlements and verdicts by demanding full compensation for the lifetime of neurological, psychological, occupational therapy, physical rehabilitation, and general medical care that is required to help TBI patients function. In one instance, our Savannah and Atlanta TBI lawyers helped one family recover more than $11 million after a collision with a negligent USPS mail carrier which caused permanent brain damage in an unborn child. A traumatic brain injury does not always require direct impact with an object. Sometimes, just the sheer force that causes the head to rotate or move out of its normal position can cause the brain to move about the skull. It is not necessary that there be visible bleeding for a TBI to have happened. Our Atlanta TBI attorneys work with engineers, traffic reconstruction experts, the police, and our own investigators to determine how the vehicle crash happened and who is responsible. We also conduct extensive discovery and speak to witnesses so that a clear picture of liability can be presented. Negligent drivers. Car accidents that cause serious TBIs typically occur because the driver of another car or truck was speeding, drunk, distracted, or not following local traffic laws. In these cases, we bring claims against the responsible driver and also the owners of the car – if the owners are different than the driver. Non-crashworthy cars. We may also bring a lawsuit against the manufacturer of the car if the car was not “crashworthy.” Vehicles are supposed to be designed and made so that occupants can adequately survive certain types of crashes. Auto manufacturers have a duty to test their cars with crash dummies, computer graphics, and other means precisely to analyze the movement of occupants, the strength of the car materials, and other impact safety features. Unlike negligence cases, if a car is defective because it was not crashworthy, the manufacturer and sellers of the vehicle can pursue liability on a theory of strict liability. This means our Atlanta, Georgia traumatic brain injury lawyers need only prove that the car was defective/not crashworthy at the time of the collision and that the defect caused the TBI. Defective parts. Even if the car, truck, or motorcycle was crashworthy, other defects may have caused the collision. The brakes could be faulty, the steering mechanism might fail to work, seatbelts may not be operative, airbags can be defective, door latches can be improper, or the car may be susceptible to rollovers. If the defect caused the Georgia car crash and the resulting injuries, then the makers and sellers of the vehicle can be held liable. Other reasons. Sometimes the state of Georgia or a subdivision may be liable because it failed to properly design or maintain the road. Taverns and restaurants may be accountable if they served liquor to someone who they knew, or should have known, was intoxicated, or to a minor. 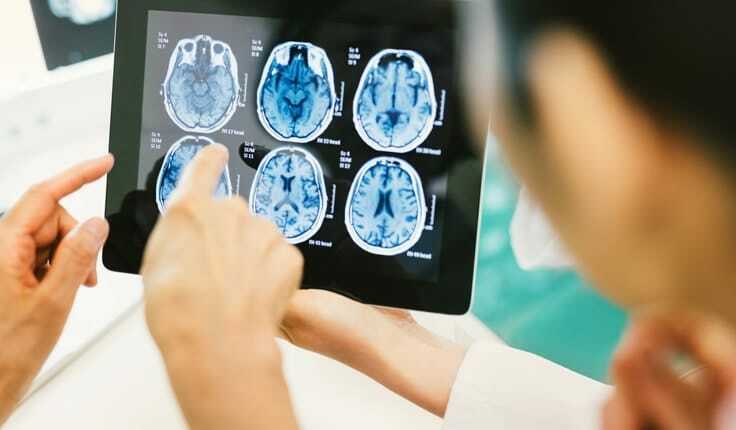 The sooner our Atlanta and Savannah accident lawyers review your traumatic brain injury case, the sooner we can help direct injured victims to the right medical doctors or review your case with your current doctors. Early intervention is also crucial in examining the auto crash site and the car itself. For immediate assistance, please phone the trusted lawyers at Harris Lowry Manton LLP, in Atlanta at 404.998.8847 or in Savannah at 912.417.3774. Family and victims can also schedule an appointment through our contact form.